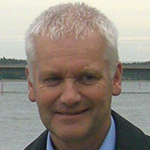 Professor Ian Woodhead has a PhD in applied physics, is Chief Scientist at Lincoln Agritech Ltd, and manages the technology group. With 30 years’ experience in sensor development, his main interests are measurement of broadband dielectric properties of composite materials including water content, physical measurements using microwave and mm waves, and high speed electronics. Ian was recently awarded the Royal Society Te Apārangi Scott medal for significant contributions to advancing the theory and measurement of propagating electromagnetic fields and the measurement of dielectric properties of composite materials.